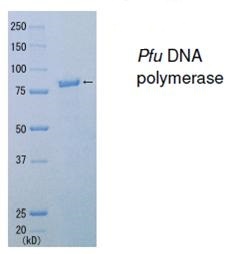 Polymerase chain reaction (PCR) is a core molecular biology technique that efficiently and rapidly amplifies specific DNA or RNA sequences to millions of copies in just a few hours. 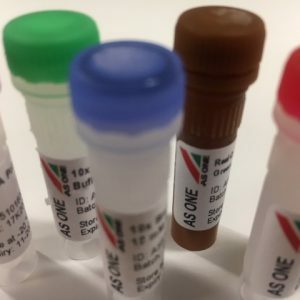 A PCR reaction consists of a set of synthetic oligonucleotide primers that flank the target DNA sequence, target DNA, DNA polymerase and dNTPs. 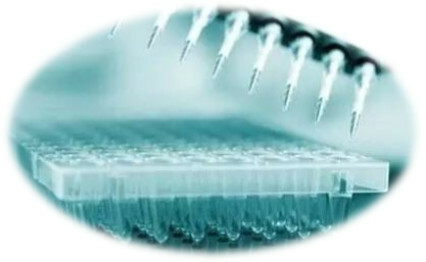 Each of repetitive reaction cycles involves template denaturation, primer annealing, and extension of the annealed primers. 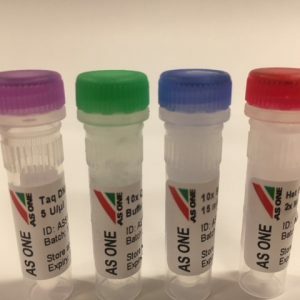 AS ONE INTERNATIONAL offers comprehensive, affordable, and high quality kits, enzymes and reagents to support all of your amplification needs. 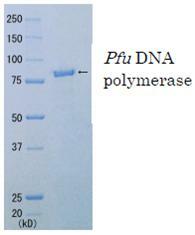 Our reagents include Taq DNA Polymerase, hot start Taq, proofreading Taq, as well as related buffers and dNTPs.